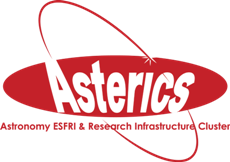 In DADI Task 4.1, ASTERICS has committed itself to maintaining close contact between the partners from the VO side and the ESFRIs, but also between the project and the wider European community of astronomical data centres. Acknowledging that intra-project communications has different characteristics from outreach and discussion with the wider community, DADI organizes both Forum and Training events geared specifically at the ESFRI partners (the first was held in Trieste in November 2015, D4.3) and events addressing both the ESFRIs and the wider community. The workshop reported on here was of the latter type, the first of those within ASTERICS. Developing on a concept tried first in the CoSADIE project in 2013, the workshop assembled technical staff (about 2/3 of the participants) and science staff (about 1/3) from 23 institutions and 8 countries for three days of intense exchange on challenges and solutions in astronomical data publishing. Data centres of all sizes were represented and included, of course, were representatives from the data handling parts of the ESFRI DADI partners, as well as the associate partner ESO, and ESA. Practicalities of publishing. Here, certain techniques, often for specific publishing problems, were presented in ways designed to be readily applicable. A new feature in this event was the hands-on training on day three. After “elevator pitch”-style presentations of six publication tools in the plenary (the toolkits SVOCat / MySpec-MyImg, CDS / ARI TAP libraries, VO-Dance, DaCHS, and Saada, as well as VizieR and the infrastructure technologies HiPS / MOC), participants could sign up for in-depth hands-on sessions, mostly with the authors of the respective tools. Although logistically something of a challenge, we consider the hands-on day a substantial success, to be repeated in later training events. The workshop, including small break-out discussions during the lunches and dinner, has shown the usefulness of keeping open communication channels between staff directly involved in VO developments and staff in particular from small and medium data centres that usually have no means of participating, for instance, in IVOA's interoperability conferences. Even just raising awareness for existing technologies improves operation and interoperability of the data centres' services. The availability of standard software components and hands-on training on their use is clearly particularly beneficial when resources are scarce, as is usually the case for small and medium data centres. At the same time, the participation of the ESFRI partners in the workshop led to the realisation that many challenges in astronomical data handling are shared across the size spectrum of endeavours in astronomy. In that sense, the whole community assembled in this workshop will profit from the next DADI Forum and Training Event, currently scheduled for December 2017, despite the narrower target audience (ESFRI partners) of that event. Another forum in the present form, including the wider data publishing community, is scheduled to take place in December 2018. With the development of the use of VO technologies in the community, as demonstrated at our workshop compared to the analogous CoSADIE meeting in 2013, and considering how publishing tools have matured since then, we look forward to hearing then the feedback from the various initiatives started or inspired during our workshop of 2016.